One question that is always asked of Myrtle Beach golfers is “where do you like to play”? Myrtle Beach has approximately 100 championship Myrtle Beach golf courses to choose from and every golfer has their own favorites. For visiting golfers Myrtle Beach Golf Authority offers a Locals Favorite Myrtle Beach golf package to help with your choices. EAGLE NEST – Located just 5 minutes from Main Street in North Myrtle Beach, Eagle Nest offers a Gene Hamm designed layout that is fun to play, but can challenge even the most skilled players. Eagle Nest has a natural surrounding where the fairways wind through towering Carolina pines, natural lakes and beautiful landscaping. Your putts will roll true on their immaculate Mini Verde greens. Unlike many Myrtle Beach golf courses, Eagle Nest has some elevation changes to enhance the beauty of the course. Wildlife is in abundance at Eagle Nest to enhance your Myrtle Beach golf experience. BEACHWOOD GOLF CLUB – Beachwood Golf Club is located right in the heart of North Myrtle Beach on Hwy. 17. This Gene Hamm design has been a favorite for locals and tourists alike since its opening in 1968. A unique feature of Beachwood is that the course is not surrounded by houses and condos and it offers a serene natural setting. The fairways wind through tall pines, natural lakes and beautiful landscaping. Our local fox squirrels love to roam the fairways and always provide a chuckle or two. Beachwood has long been known as the “friendliest course on the beach” and they live up to that reputation. SANDPIPER BAY GOLF & COUNTRY CLUB – Dan Maples designed a beauty when he laid out Sandpiper Bay. 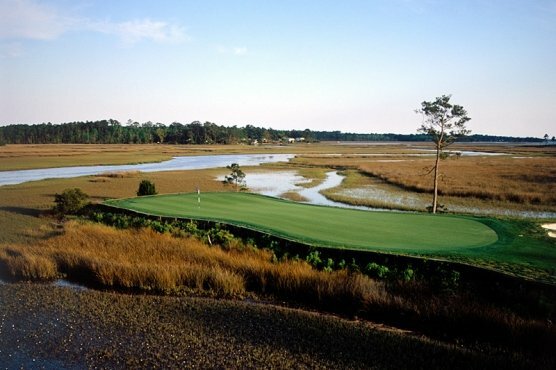 This 27-hole layout is located in Sunset Beach, N.C. just a few minutes from North Myrtle Beach. The course is player friendly and can be quite challenging depending on the tees that you play from. The fairways wind through tall trees, lakes and well placed bunkers. The course is always well maintained and features beautiful Mini Verde greens. The three nines are named “Sand”, “Piper” and “Bay” and all offer unique challenges. The friendly staff at Sandpiper will welcome you and ensure that you enjoy your day. CROWN PARK – Crown Park is located in Long, S.C. just a few minutes from North Myrtle Beach. This Myrtle Beach golf course opened in 2001 and has been a favorite since its opening in 2001. When playing Crown Park you will enjoy the natural surroundings that are not surrounded by any housing. Wildlife is abundant on the natural fairways and surrounding areas. The course is very player friendly and offers four sets of tees so that golfers of all skill levels can choose the right one for them. The natural setting and beautiful layout would be a great course to add for a great price. Myrtle Beach Golf Authority is proud to offer this outstanding Myrtle Beach golf package. Prices start at $199 per person and include accommodations, green fees, cart fees and taxes. 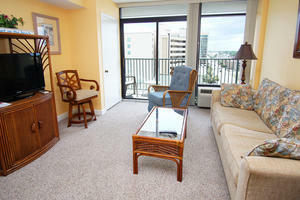 Price for this package is based on 4 in a 2 bedroom golf condo.